Most energy bars are loaded with protein — protein that's synthesized in a lab somewhere. 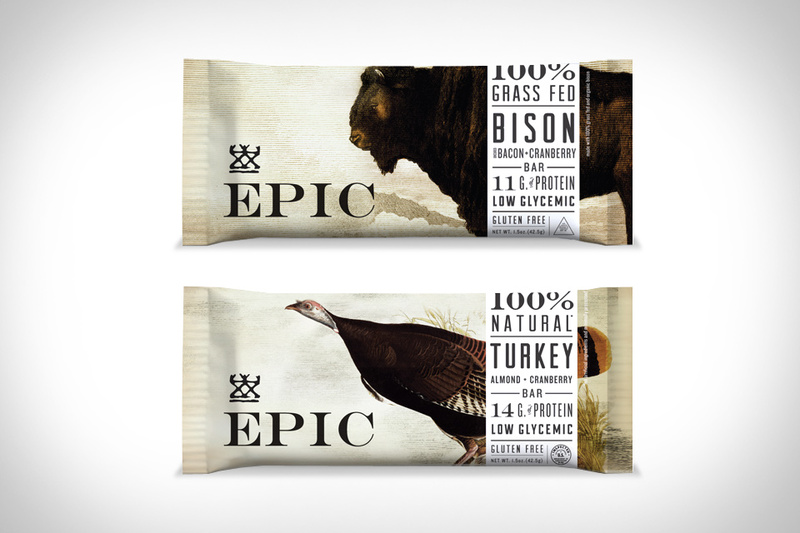 Epic Bars take a different approach. The protein in their low-sugar, gluten-free, Paleo-friendly bars comes from 100% grass fed animals. Flavors include Bison Bacon Cranberry, Turkey Almond Cranberry, Beef Habanero Cherry, and Lamb Currant Mint. All of this combines to produce a bar that's high in nutrients like Omega-3, Iron, Vitamin B12, and CLA, while offer great — and all-natural — flavor. Hey, it works for whiskey, so why not for another one of the key food groups, sriracha? Made using fresh, locally sourced ingredients — specifically chili peppers, brown sugar, garlic, and salt — Sosu Barrel-Aged Sriracha is a new take on everyone's favorite rooster-emblazoned condiment. Aged for one month in whiskey barrels, the pepper mash takes on sweet, fruity, and smoky notes that help balance out the spiciness of the sauce, making it an even more amazing accompaniment for eggs, meat, noodles, or anything else you can imagine. Well, that's pretty self-explanatory. Drunkin Donuts are what they say on the tin — alcohol-infused desserts that taste like your favorite party cocktails. Arriving in donut, cupcake, cannoli, brownie, and even truffle form, they'll liven up any gathering with the flavors of daiquiris, martinis, mudslides, creamsicles, piña coladas, champagne, white russians, caketinis — isn't that sort of cheating? — and even mai tais. And since every shipment is baked to order, you don't have to worry about your amaretto macaroon brownie arriving stale. They look like normal waffles — and depending on what flavor you get, they taste like them, too. But Wired Waffles pack a secret ingredient to help you get a jump start on your day. See, each 2.5oz waffle packs 200mg of caffeine, meaning that a breakfast of two waffles will pack more punch than a grande coffee from Starbucks. They come in tasty flavors like Bacon Maple, Sweet Sugar, Cinnamon, and Chocolate Chip, and should you decide you need an extra kick, they sell caffeinated maple syrup to serve along side it for the equivalent of a triple espresso breakfast. What could possibly taste better than a healthful, meaty snack combined with the sweet, oaky flavors of whiskey? It's that very question that drove the guys at Get Some Jerky to create Whiskey Beef Jerky ($7). Made from locally-sourced beef near their home in Sacramento, California, their jerky is seasoned with all-natural ingredients so you never have to deal with dry, flavorless, processed jerky again. Their whiskey beef jerky gets its flavor from premium whiskey — adding a subtle burn to its taste — along with brown sugar, worcestershire sauce, soy sauce, and more, giving it a unique flavor like no other. Fed up with liquid hot sauces that too-often mask food rather than enhancing it, the guys bringing us Benny T's Vesta Dry Hot Sauce ($7-$10) have re-envisioned what a hot sauce should be. Made from fresh chiles grown on location in their pepper farm (boasting as many as 300 individual chile plants), this hot sauce isn't a sauce at all, but a rub. It's serious hot sauce for people who like their food seriously hot, available in three variations: hot, made from thai chiles and ahi amarillo; very hot, made from chocolate habaneros and scotch bonnets; and ghost, made from ghost chiles and a chocolate ghost hybrid. As hard as it is to admit it, there are more options out there than standard American Bacon when you're looking for your pork fix — with Bacons of the World ($300), you get all the bacon this great nation has to offer, plus a few bonuses. 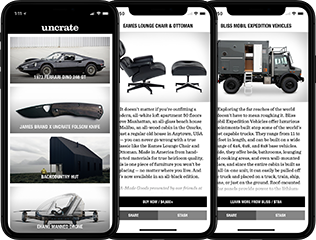 With your purchase, you'll receive quarterly shipments of five pounds each, made up of half American Bacon, and half a second type. You'll get Guanciale, unsmoked Italian pig cheek; English Bacon, smoked loin with belly attached; Pancetta, the Italian cousin of American Bacon; and Holiday Bacon, a specially seasoned version of American Bacon.